Our troops have been on my mind ever since seeing the latest Living Social coupon. 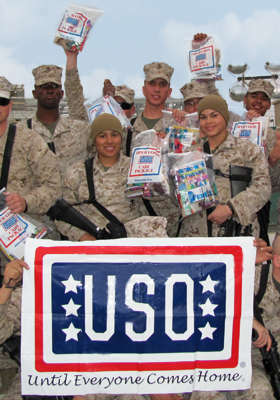 For $25, the USO will send care packages overseas, a package that is normally provided with a $50 donation. Oh and hey, they are throwing in a t-shirt. Who doesn’t like a t-shirt. (I’ll save my rant, I mean feelings about this trend that the giver must get something in return for their gift, for another day.) But t-shirt or not, I’m intrigued that a charity has entered the online deal playground. Learn more about the deal, but hurry since it is only around for a few more days. 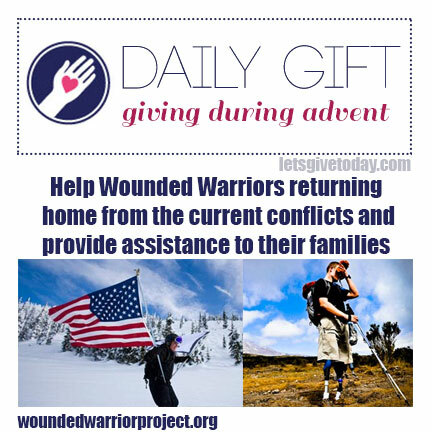 Check them out: Sudbury for Wounded Warriors. All proceeds from this golf tournament go directly to the Wounded Warrior Project, to empower and provide services for wounded soldiers. The organization’s slogan? “The greatest casualty is being forgotten.” My goodness. How does that not hit you right in the heart. Throw some support their way, even if you can’t hit a golf ball.